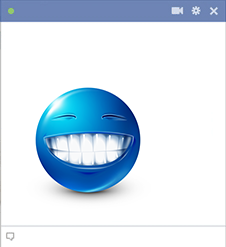 This blue smiley has the whitest teeth of the bunch. Its bold grin is sure to garner attention. Post this image in a message or share it on your timeline. 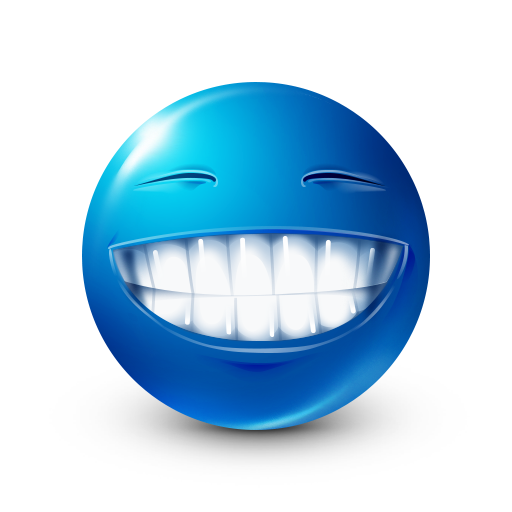 Each of our smileys is free to share. When someone has good news, you can post this image on their timeline to congratulate them.